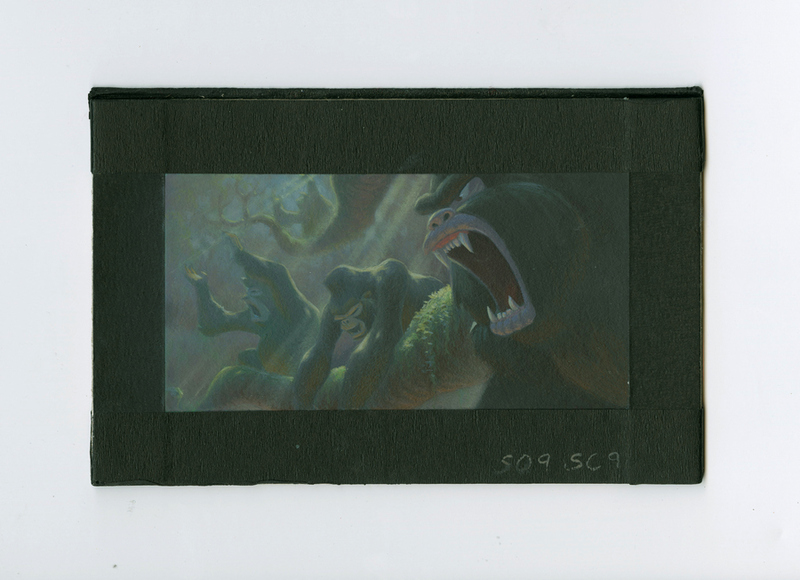 This is an original background color key concept from the Walt Disney Studios production of Tarzan (1999). 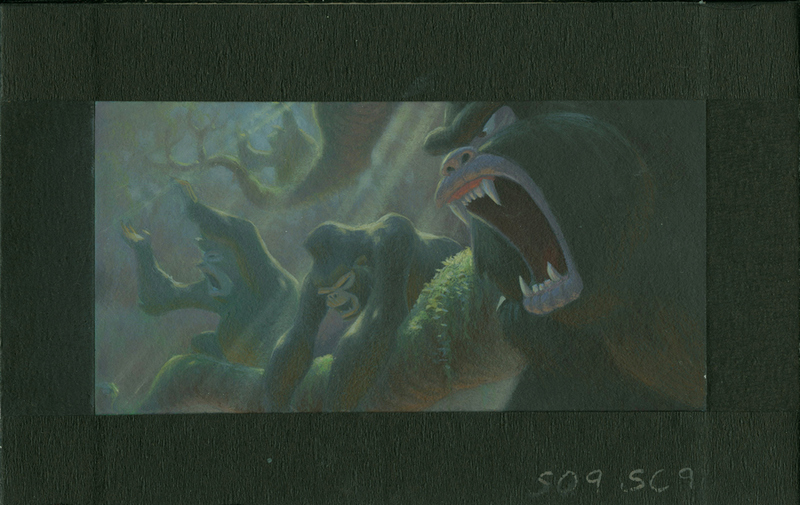 This hand-painted concept art features the gorillas cheering on the battle between Kerchak and Sabor and was created at the studio by Joaquim Royo Morales, and used during the development of the film. Background color keys are used when the director is determining the color pallet of the scene's background environment. The overall measurements of the piece are 4" x 6.25" and the image itself measures 2.5" x 4.75".